DAILY POST reports that the Ohanaeze Youth Congress, OYC, in a statement issued on Monday accused the President General of Ohanaeze, Chief Nnia Nwodo of mortgaging the interest of Ndigbo. The OYC statement followed its meeting held in Enugu, where it passed a vote of no confidence on Nwodo, who they accused of sidelining other members of the Ohanaeze National Executive Council. The statement was signed by OYC President, Mazi Okechukwu Isiguzoro and Mazi Okwu Nnabuike, the Secretary General. It read in parts: “It is with great sense of dismay and clear picture of the present debased Ohanaeze politics that we the fledgling members of the Ohanaeze Youth Council, OYC, summoned an emergency security meeting and met today, April 2nd, 2018 being Easter Monday, because it has dawned on us and every other conscious Igbo that the President General, Ohanaeze Ndigbo, Chief Nnia Nwodo has not only lost leadership mantle but veered out of the way and is hell bent to push the Ohanaeze and Ndigbo to a political cul-de-sac. The statement claimed that “out of 24-man executive of Ohanaeze Ndigbo, Nwodo uses an illegal organ of Forum Of States’ Presidents against the Constitution Of Ohanaeze to subdue, intimidate and humiliate other Ohanaeze Ndigbo executive members and thereby, forming a cabal and constituting a menace against the democratically elected members of Ohanaeze youths and women. “He has failed to audit the accounts of Ohanaeze within the last 12 months against the Ohanaeze Ndigbo constitution, which recommends for a periodic audit and accountability. “Therefore, we the teeming Ohanaeze Ndigbo Youths passe vote of no confidence on Nnia Nwodo and call Ndigbo and Nigerians to ignore him; he should not speak for Ndigbo again until he clears himself of these constitutional breaches he committed. We also call on the federal government and state governors to be wary of Nwodo. “He has seven days from April 2nd to defend himself, or face the consequences of all he had done against Ndigbo. 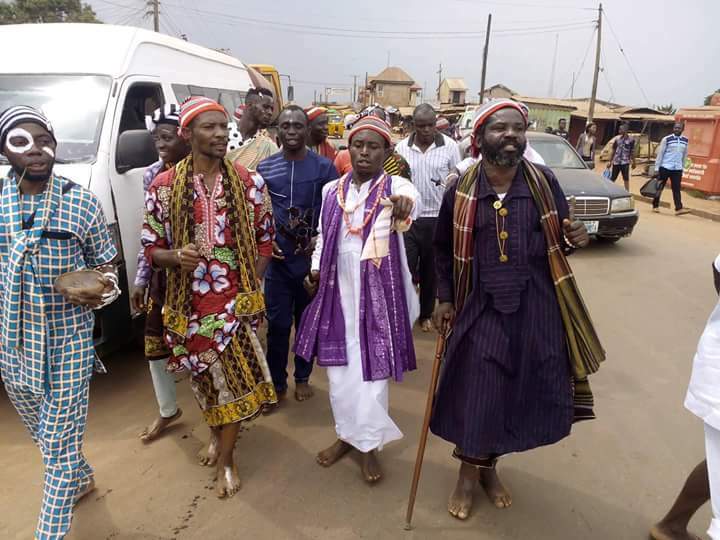 He is expected to appear before the Chairman of the Ohanaeze Ndigbo Disciplinary Committee headed by Crown Prince Christian Dimkpa with immediate effect,” the Youth Wing further stated.